Logo for Chase Masterson’s production company. Totally awesome to work with her as I’m a fan of Deep Space 9. 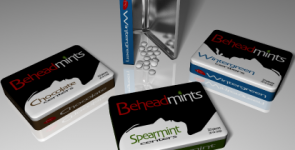 Print ad for Beheadmints case study. Three of three. 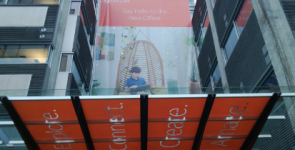 Super banner and window graphics for the Office 2013 launch. Logo done on speculation for Dadu. Print ad for Beheadmints case study. One of three. A “just for fun” print ad for Pepto-Bismol. One of two.